The stocking at Oddyssea is continuing apace. We’ve got stuff from all over the place coming arriving at the store daily. One of the challenges we face is that we’re attempting to find things that are a) interesting b) rare or unique c) fit our themes and d) we can profit from. Achieving an optimal mix on all 4 dimensions means a great deal of thought is going into each product and an even greater effort on procurement – because you can’t just go to the local warehouse and pick up a dozen “mumblefratz” with our model. One of the things we’ve been messing around with is looking at how different things from different departments may fit together (or not) so that multiple use on specific items is possible. You can see an experiment (humor intended) in the image on this post. I have a certain weakness for borosilicate laboratory glass and suffice to say, we have some of it for use/sale in the store. 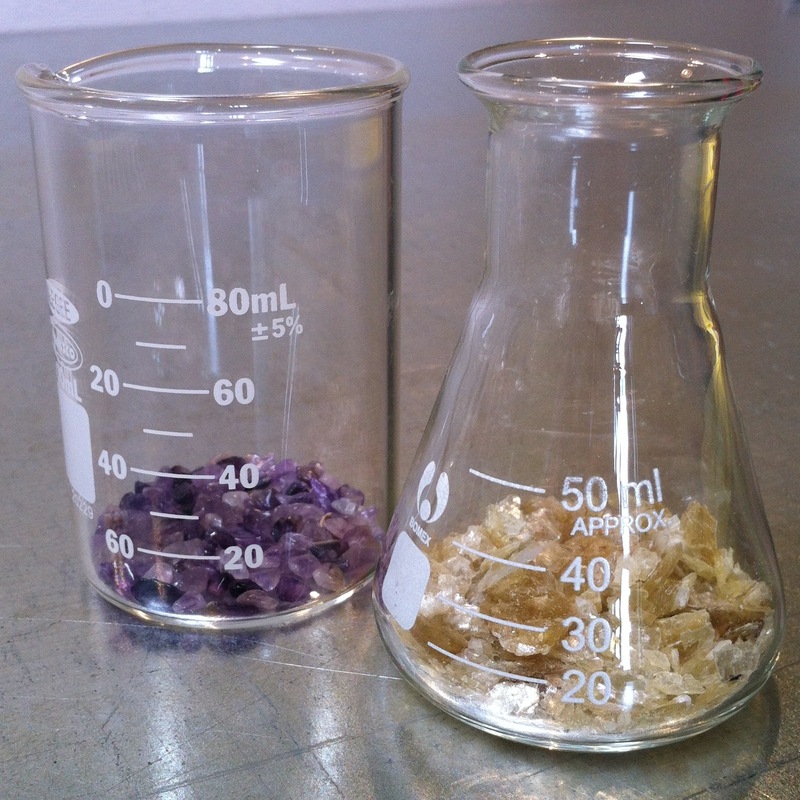 What you see in the image is a mashup of left-overs nolvadex tamoxifen online from the nature department combined with items from the science supply department, amethyst and citrine remnants displayed in Erlenmeyer flask and lab beaker respectively. We have contracted with a local artist to help with a distinct installation on one wall of the create room – can’t wait to see what she cooks up. We have another local business woman that we’re meeting tomorrow to attack another wall with something unique too. All of this takes time, but boy is it fun. And maybe even people will like it! The store does seem to have a little buzz developing around it, particularly since we covered the windows and the new stuff is coming in. We got an invitation to speak to the local Rotary Club about what we’re up to next month for example. Can’t wait to share what we’re up to with them. You are currently reading Messing About with Products at Oddyssea.